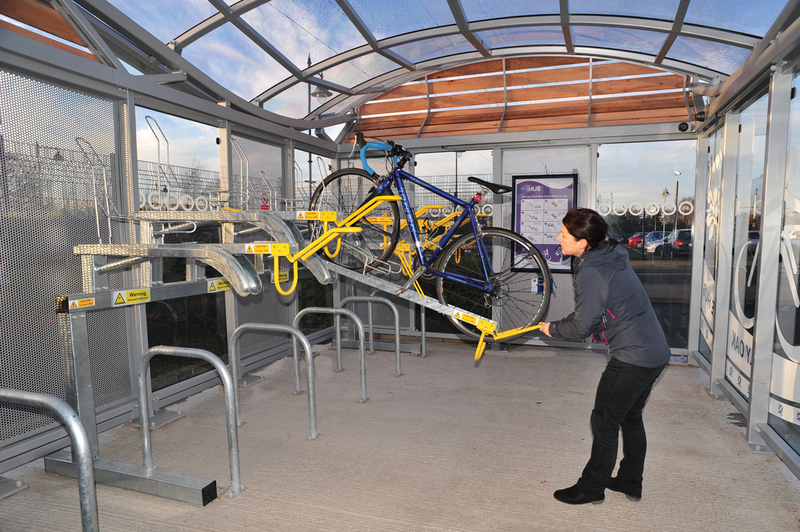 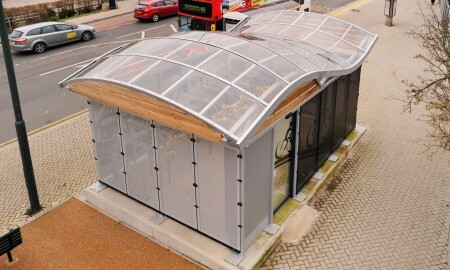 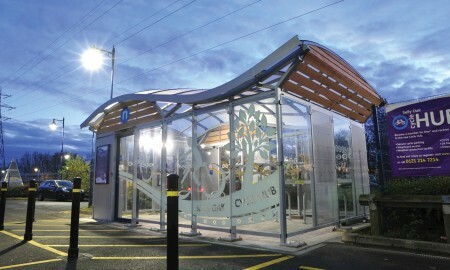 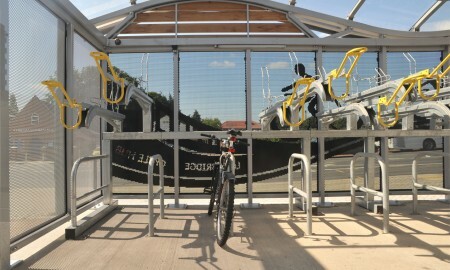 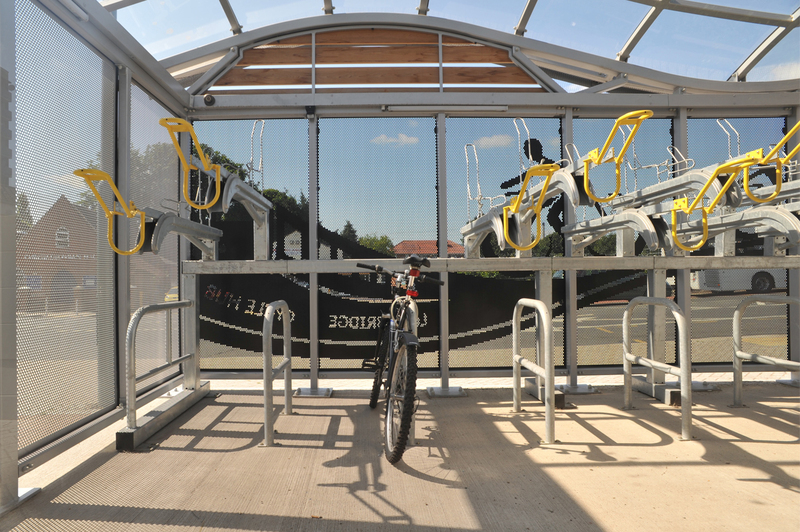 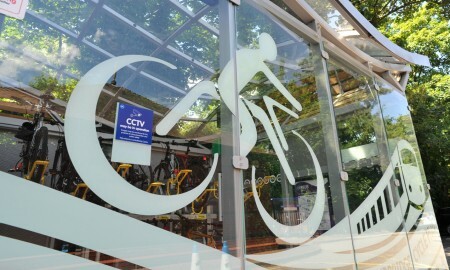 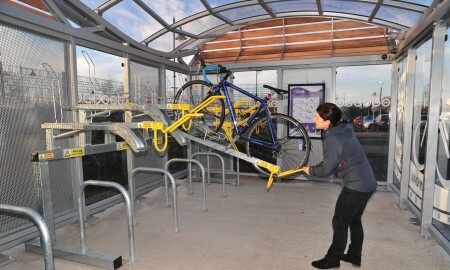 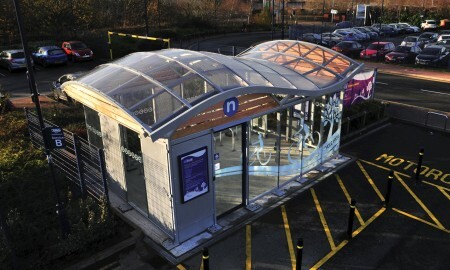 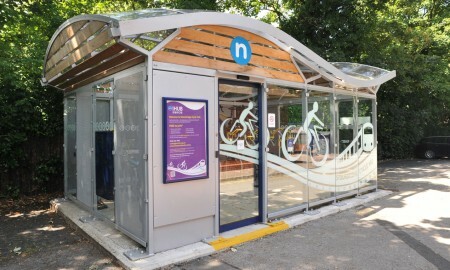 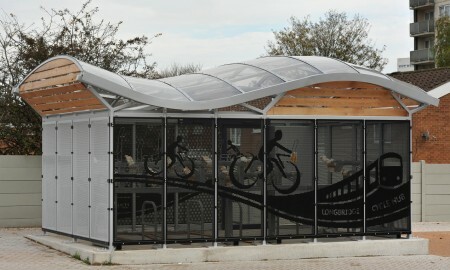 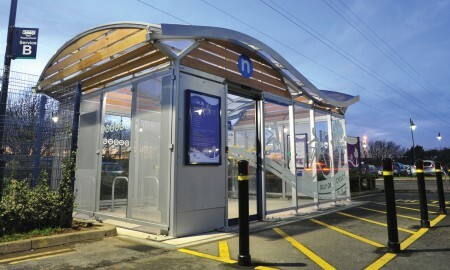 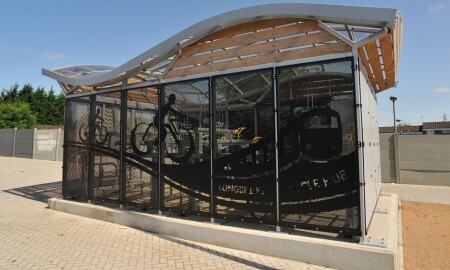 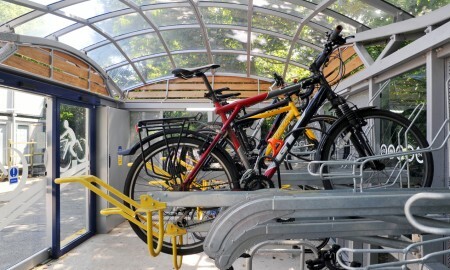 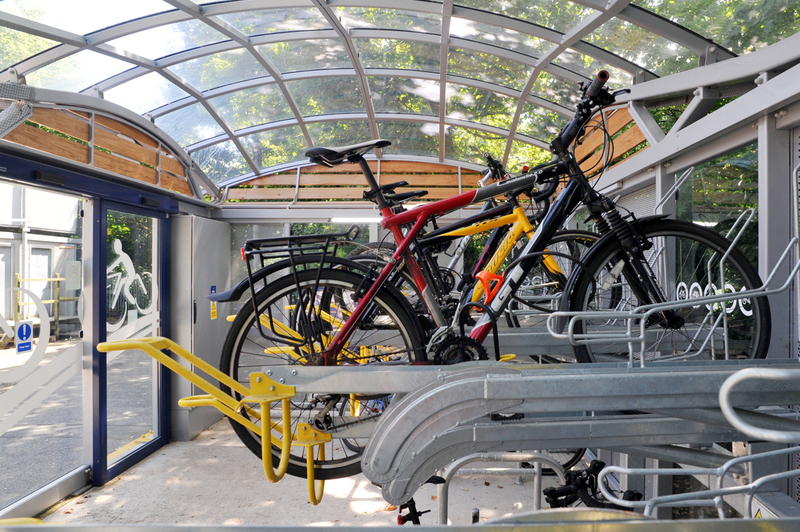 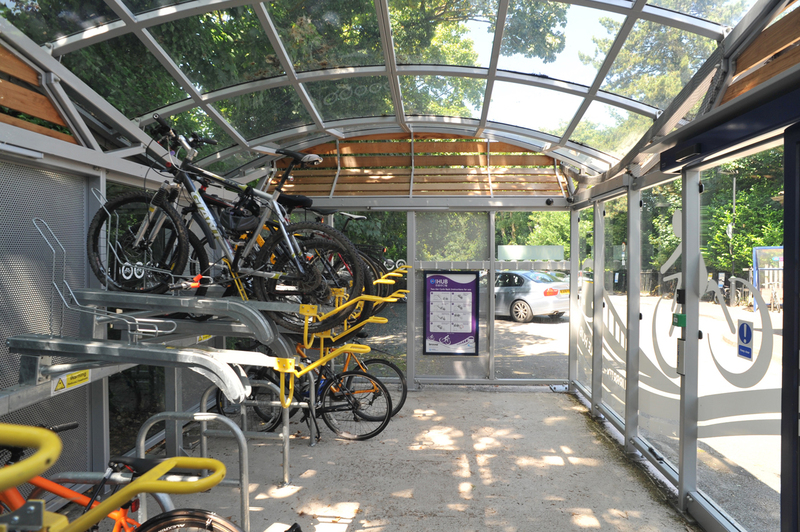 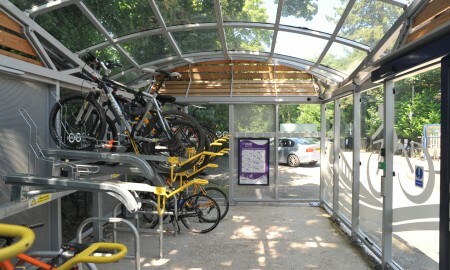 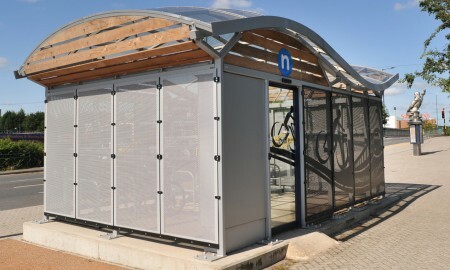 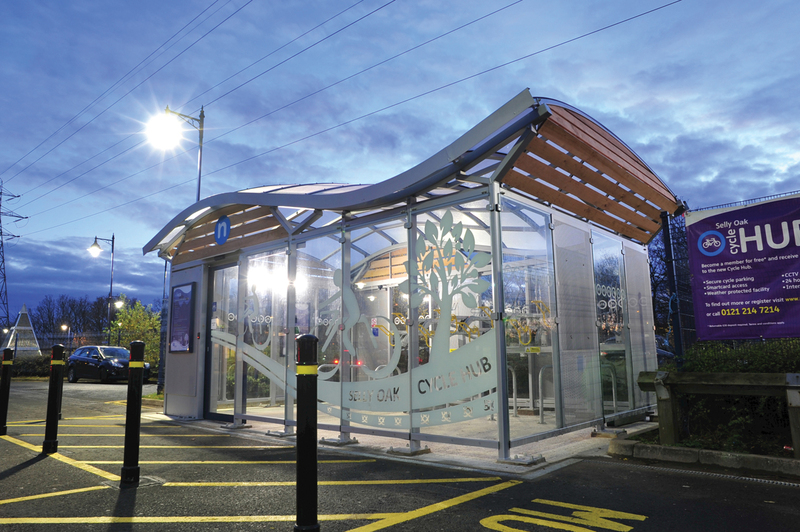 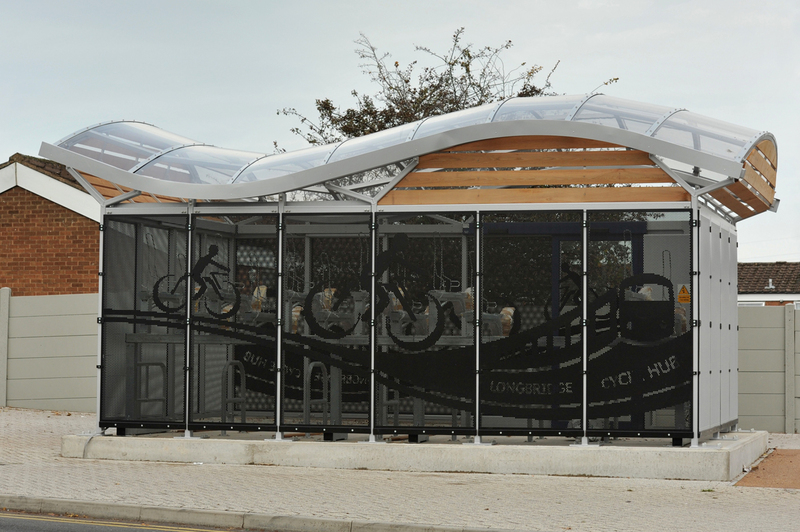 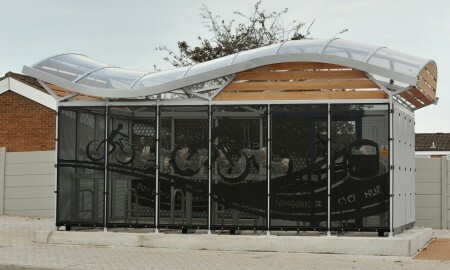 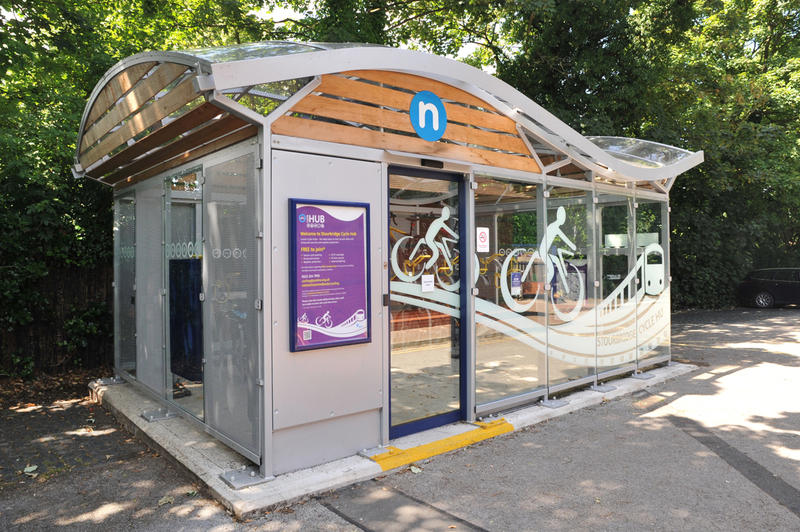 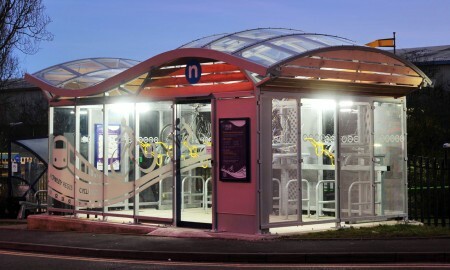 Following the success of the original Centro Cycle Hub at Selly Oak Railway Station Broxap were commissioned to provide similar Hubs at other rail locations across the West Midlands. 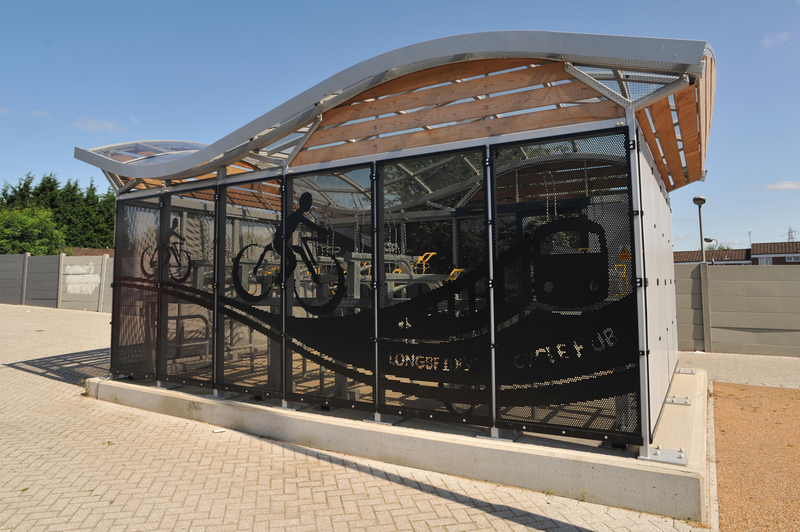 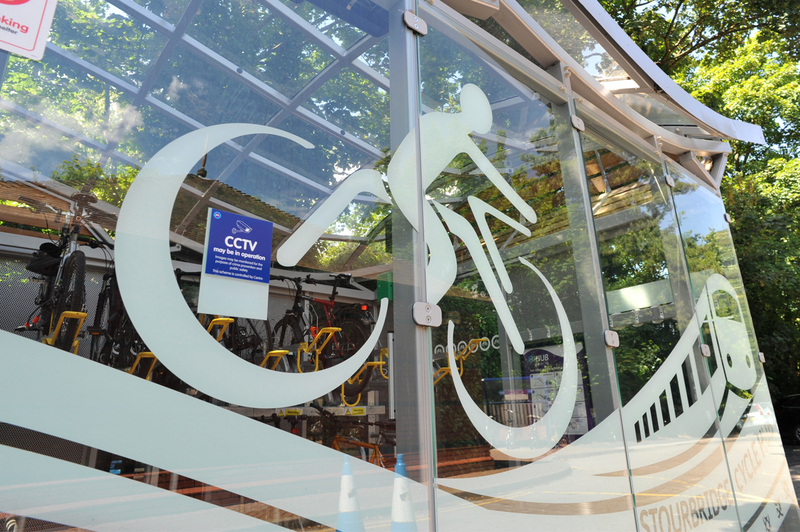 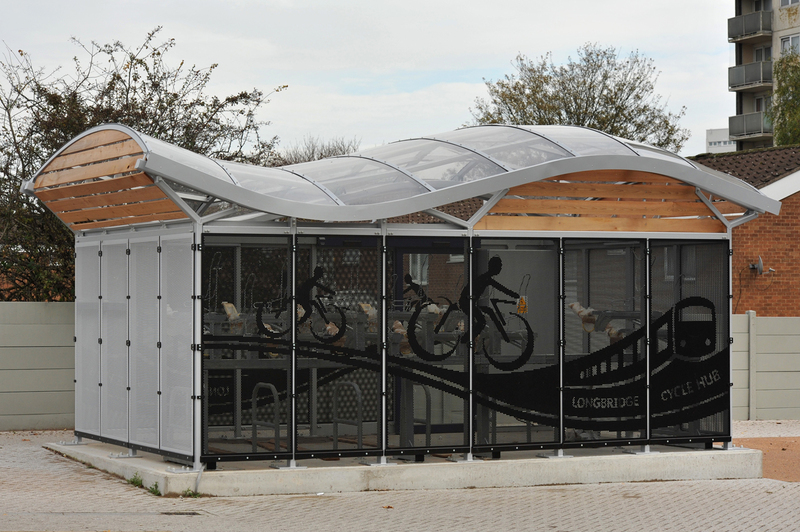 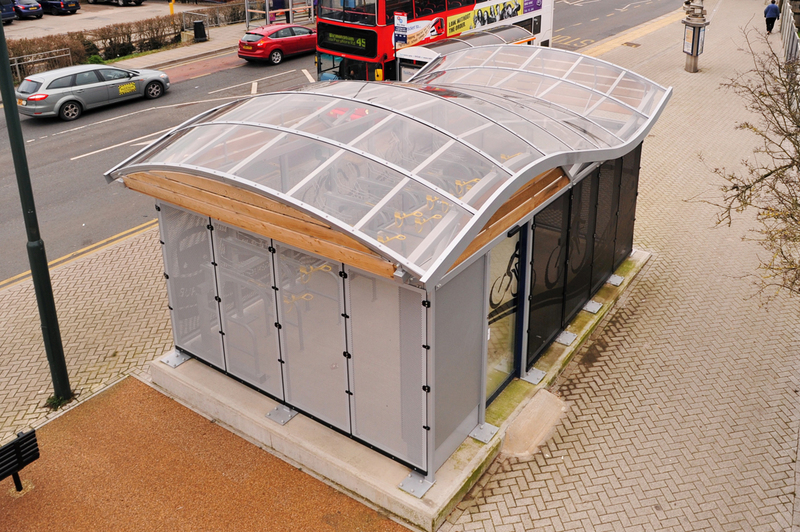 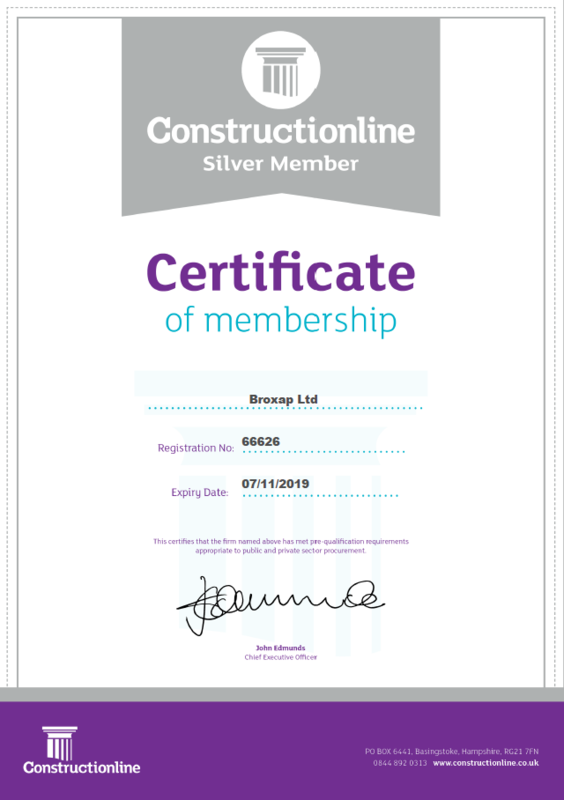 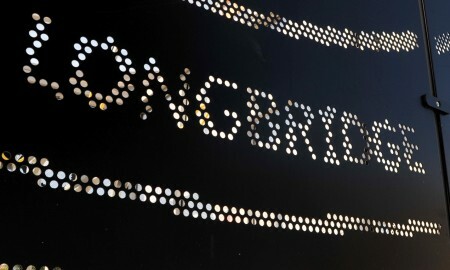 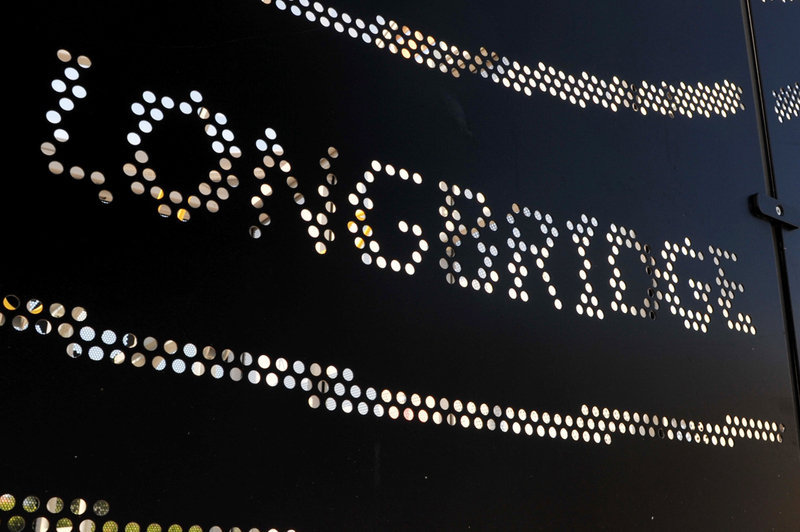 Stourbridge, Rowley Regis and Longbridge have recently opened their Centro Cycle Hubs to users. 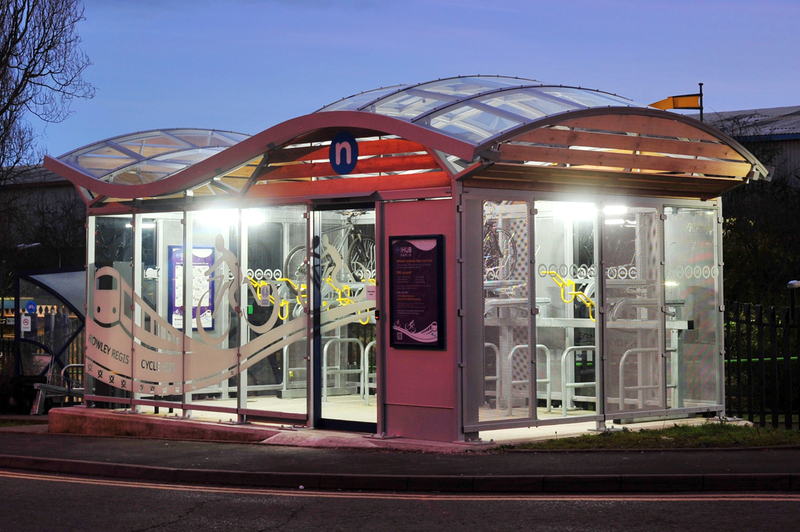 Based on the original design yet with some distinguishing features, mainly the Longbridge Hubs hi-visibility heavy duty mesh side panels with integrated graphics, these Hubs offer rail passengers the perfect scenario to cycle and catch a train to work. 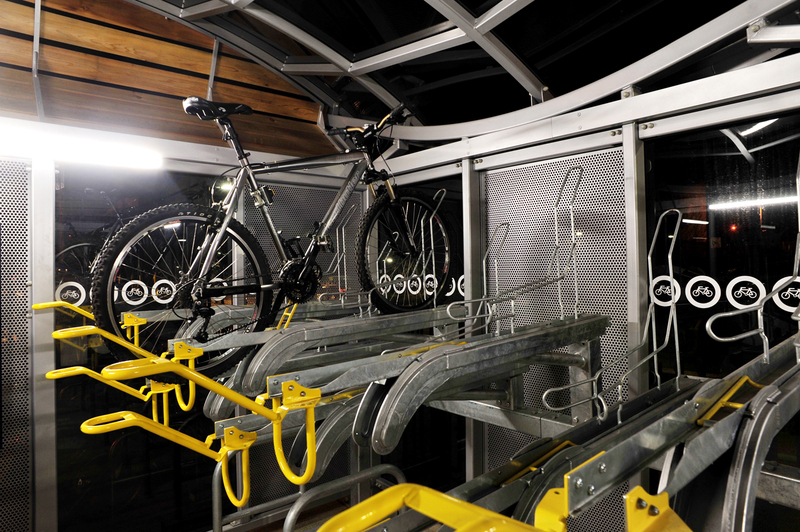 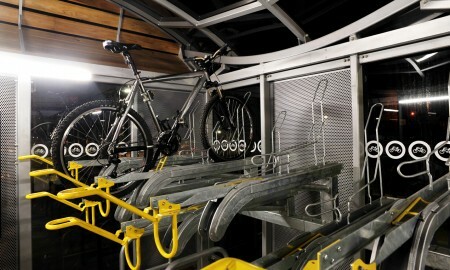 The Hubs again feature the Broxap Hi-Rise Two Tier Cycle system with Sheffield stands in the lower area to allow bikes to be parked in an upper and lower formation. 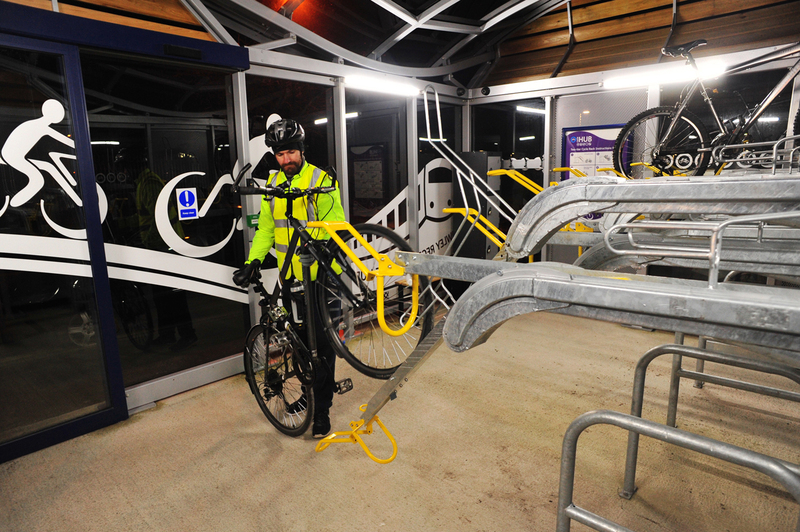 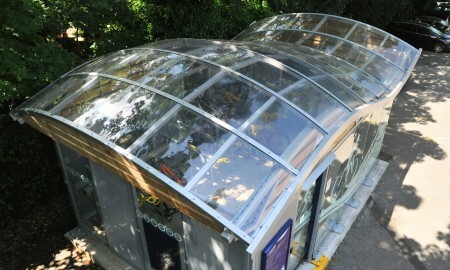 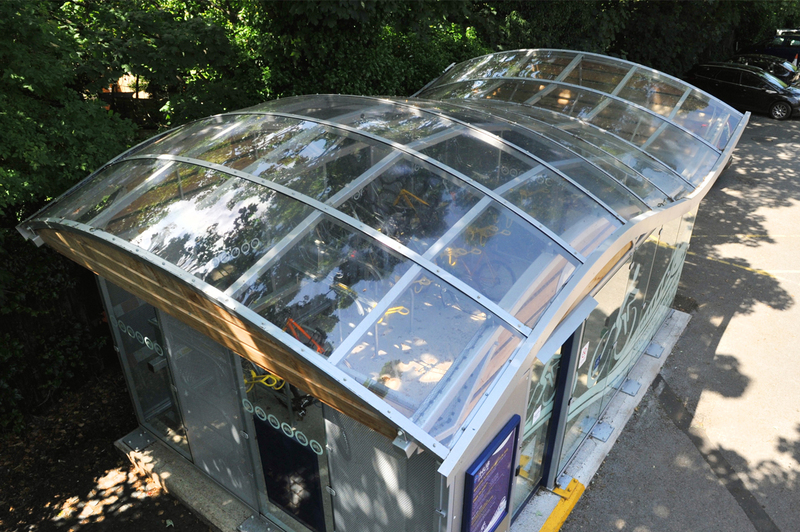 Smart card access, dusk till dawn lighting and CCTV are all again featured in the new Hubs to enhance security for the users parked cycles whilst they are at work or travelling on trains. 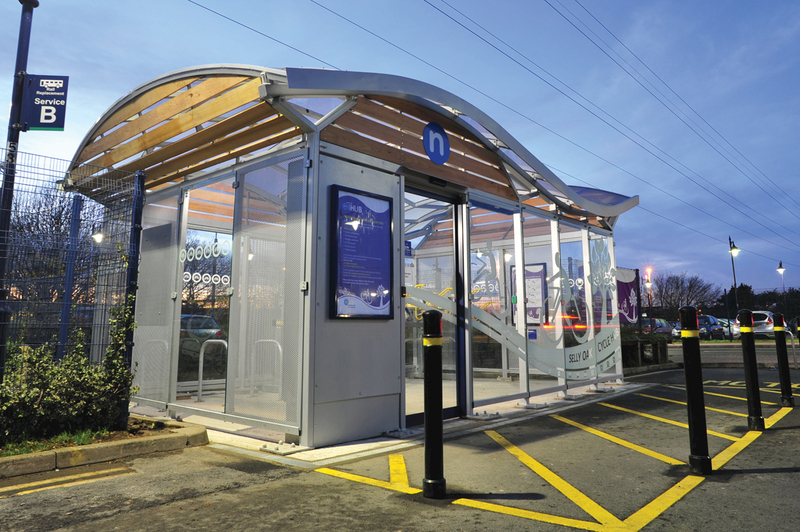 Hubs are so far installed and in use at Selly Oak, Rowley Regis, Stourbridge and Longbridge.